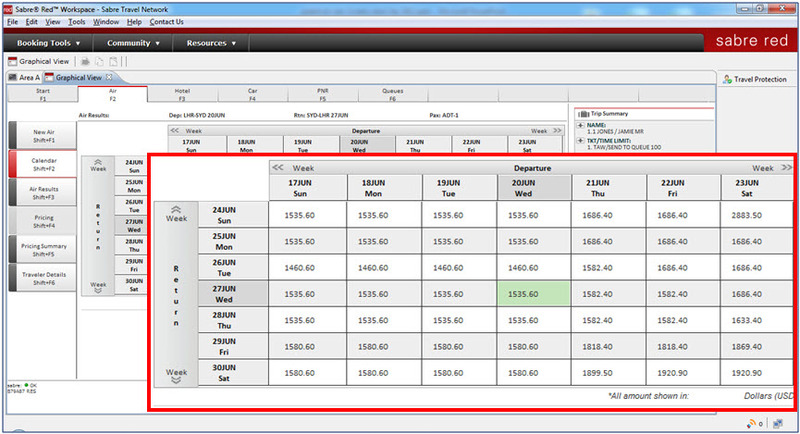 The Sabre® RedTMWorkspace is an easy-to-use agent booking platform. Our intelligent workspace delivers all relevant content within your workflow. From the world's largest travel marketplace, the Sabre® GDS, to advanced booking capabilities and application integration - the Red Workspace is a one-stop shop. And it generates additional revenue and new sales opportunities through interactive offers. 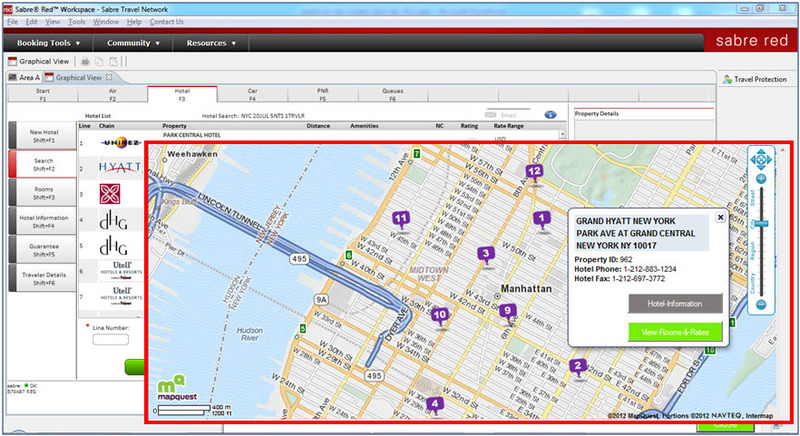 Agencies benefit from greater performance, experience and control with the Red Workspace. Faster start up times and greater stability allow agents to get to work faster and serve more travelers. The intuitive user interface provides an improved interaction. And administrative controls let configurations and updates be managed down to a user level. Do more in less time with the graphical view option. Agents will discover fewer keystrokes, faster training and better service. Work more efficiently. Shop and price faster. Simplify comparisons, including ancillaries through our Air Extras. And have the option to switch between the graphical view and classic view, where agents can still use familiar formats. Automated alerts for better sales opportunities, Unused eTickets, etc. Shop up to 49 date pair combinations (+/- 3 days) for roundtrip itineraries in a single request. Click image to enlarge. 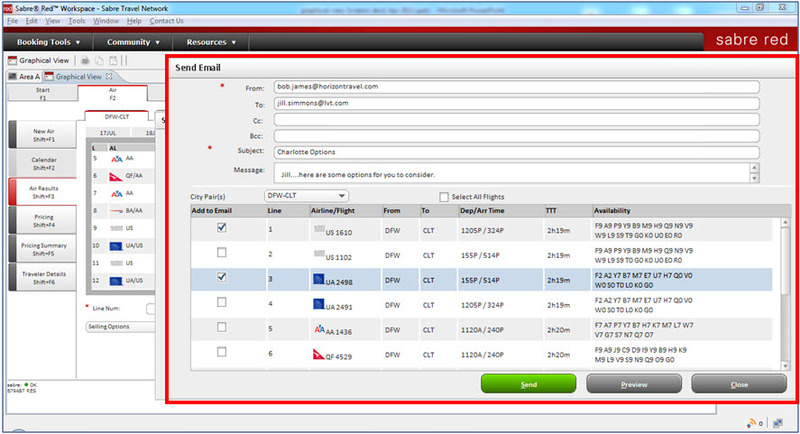 Select and email air options to your customers quickly and easily. Click image to enlarge. Search for hotels in several ways, including phone number, zip code and address. See results on a map and view property photos. Click image to enlarge.